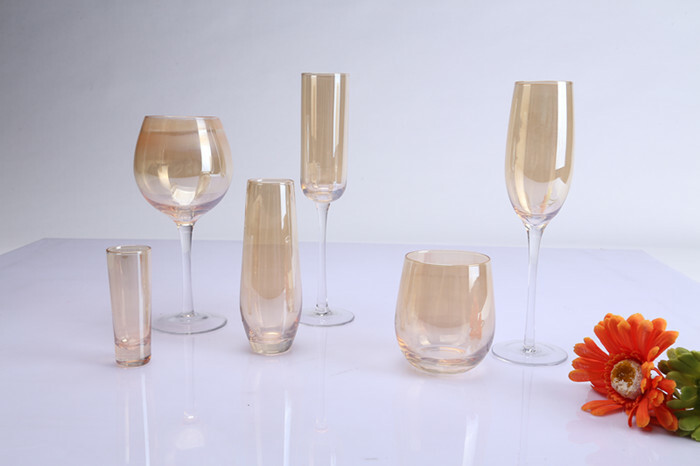 Product categories of Wine Glasses, we are specialized manufacturers from China, Wine Glasses, Stemless Wine Glasses suppliers/factory, wholesale high-quality products of White Wine Glasses R & D and manufacturing, we have the perfect after-sales service and technical support. Look forward to your cooperation! Our Wine Glasses are lead-free, safe and healthy for your drinking, they're used for red wine drinking, white wine drinking and pink wine drinking. We have thousands of diffrent molds for your selection, we also could customize Glass Drinkwares according to your design, and we could do diffrent effects including solid color, spraying color, electroplating, ion-plating , logo engraving and printing, liquid luster and hand-drawing. Related Products:Wine glasses, champagne glasses,Stemless Wine Glass.